It’s not quite a bicycle, but not quite a motorcycle. It’s a scooter (No relation to Scooter Libby). A small vehicle that can get you where you need to go around town without consuming much fuel. It’s lightweight, easy to maneuver, and is easy to maintain. And Phoenix Title Loans is proud to state that Scooter Title Loans are what we can offer our customers that own scooters! But before we begin, we need to clarify one thing: The Ride Share Scooters dotting throughout Tempe and other major Valley Cities are NOT ELIGIBLE. This is simply because you, the customer, do not own them; title and all. That’s really the only reason. Other than that, here’s some more information on this loan program. Are Scooter Title Loans Treated the Same as Motorcycle Title Loans? In a sense, yes; but owners of scooters actually benefit more than Motorcycle owners; the difference in sizes. While motorcycles are a small type of vehicle, scooters are even smaller and easier to store. That means we can serve more that need cash for emergencies, like rent arrears (past due). That’s why Phoenix Title Loans is a trusted source of income, as you can get emergency money for rent today that can be used to pay for rent either today or tomorrow. Can I still Ride the Scooter while the Loan is in Effect? The beautiful thing about an auto title loan is that you can always retain your vehicle throughout the duration of the loan. Your scooter/moped is yours to ride around to work, school, entertainment, whatever as long as you continue to make your monthly payments. With these types of title loans, however, we do also have separate options available to our title loan customers. While you’re more than welcome to keep possession of your scooter during the title loan, we can sometimes offer more cash at a lower interest rate if we’re able to put your scooter in storage throughout the duration of the loan. This simply provides Phoenix Title Loans a bit more confidence in making a loan to you since our initial investment into you is secured. 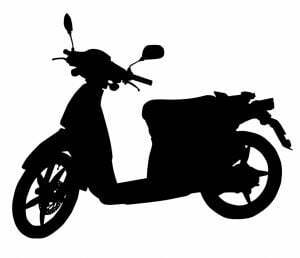 What do you Require from Scooter Owners for These Title Loans to be Processed? Primarily, we need a current, valid Arizona State-Issued Driver’s License, along with the scooter and its title. These requirement has not changed, and remains the standard for all our title loans. As far as you personally, we require very little! Phoenix Title Loans allows our customers to gain access to these financial instruments without any regards to income or credit. The reasoning for this is that your title loan provides all the security we need to be confident in the loan. Your Scooter Title Loan is based solely around your equity in your scooter, and that’s all! We have locations all throughout the Valley of the Sun; be it Mesa, Tempe, Phoenix, Chandler, Scottsdale, Avondale, or Glendale. All you need do is bring your scooter along with the required items we mentioned earlier. Once there, the process averages less than thirty minutes; in some cases as quick as FIVE minutes. Visit a PTL location now for scooter title loans and the well-earned cash you deserve!